If you only own one piece of jewelry, make sure this is it. 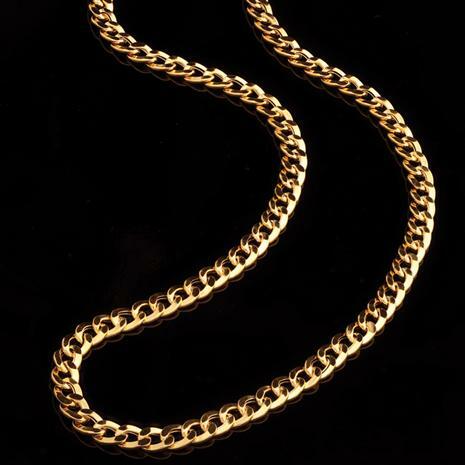 This 14K gold chain handcrafted in Italy is bar none, THE essential piece of mens jewelry. This is classic Italian gold craftsmanship at its finest from a workshop tucked in the Valdarno Valley in the Tuscany region. Their chain styles are classic yet innovative, showcasing their signature diamond cutting technique–– a textured finish that accentuates each and every link. With the tightly knit allure of grumetta chain links, this chain creates a stylishly simple effect from afar, but get in close and you’ll lose yourself in the intricate loops each link creates. A diamond cut finish allows each link to capture and reflect the light. Okay gentlemen, you could fork over a lot for gold Italian-made jewelry that simply comes from a factory. Just take a look at what’s out there. You could fork over even more for jewelry handmade by Italian artisans like what you see here. However, we prefer to think of forking over in terms of sharing a sweet slice of tiramisu, which is why we gave THE chain a price that makes owning it a piece of cake.